New Jersey Governor William Newell introduced a bill to create the Life-Saving Service in the early 1850’s, and it was approved by the U.S. Congress in 1871. 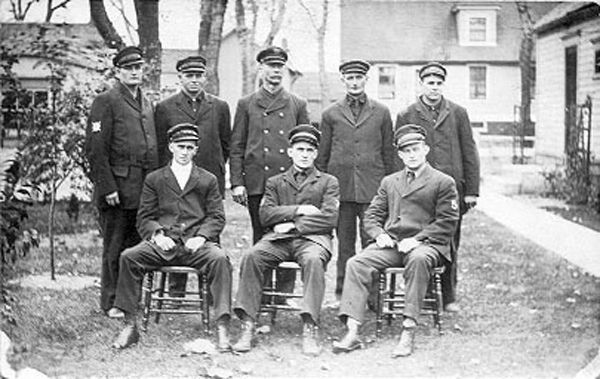 In addition to possible shipwrecks and shipping accidents in Holland, where the Life-Saving service was needed, fire was a constant concern for Ottawa Beach, as it was for all summer resorts where the wooden cottages were always tinder dry and where fire protection was minimal or non-existent. In August of 1899, the Life-Saving service came to the rescue when a firecracker started a fire under the flooring of the Hotel Ottawa Annex as described in “Ottawa Beach and Waukazoo, a History” by D. Van Reken. This photo shows the Holland Life-Saving station on the left and the lighthouse keeper’s cottage on the right. They were situated on the south side of the channel. Both the crew of the life-saving station just across the channel and the City of Holland Fire Department put out the blaze at the Hotel Ottawa started by a fire cracker. The fire was serious enough so that guests had started to throw trunks and personal belongings out of the windows. The life-saving crew was called upon to help fight other fires at both the Macatawa and Ottawa Beach resorts on several occasions. 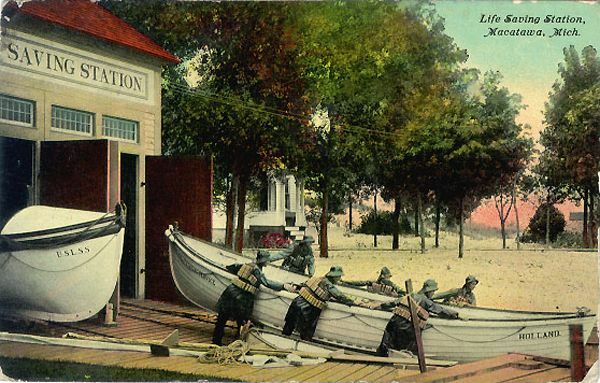 Crew launched the surfboat from the station’s boat house and rowed toward the site of any emergency. Both the crew of the life-saving station just across the channel and the City of Holland Fire Department put out the blaze. The fire was serious enough so that guests had started to throw trunks and personal belongings out of the windows. The life-saving crew was called upon to help fight fires at both the Macatawa and Ottawa Beach resorts on several occasions. 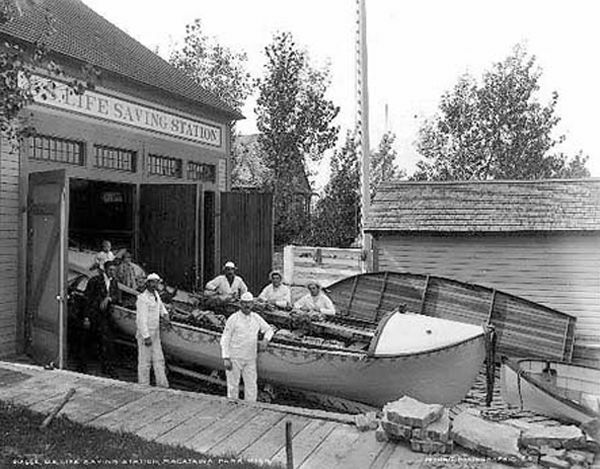 The above photo is labeled “Macatawa Park, Mich.” and shows a lifeboat station of the U.S. Life-Saving Service. The lifeboat, cork vests, Surfmen, Keeper and children capture the pride of this great humanitarian organization. Photo provided through the courtesy of Tom Garber of Third Wave Films.